Facebook already has more data on most people than it knows what to do with but the company announced Thursday that it will need a few more vital pieces of personal information from anyone hoping to place political ads on its platform, including a government-issued ID and social security number. 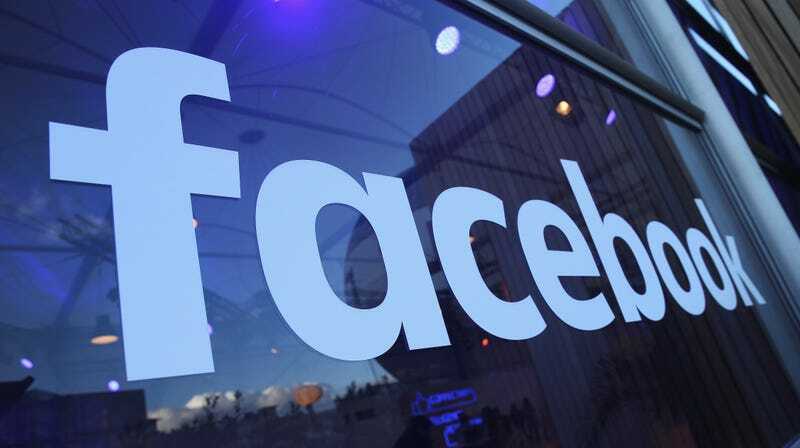 In a blog post, Facebook said it has officially rolled out its promised efforts to make political advertisements more transparent in an attempt to prevent the type of foreign interference that plagued the site during the 2016 US presidential election. That includes a requirement for all advertisers promoting political content to verify their identity and location. As of Thursday, when political ads pop up on Facebook or Instagram, they will include a disclosure that shows who paid for the advertisement. Users will be able to click on the “Paid for by” label to view more information about the ad, including who funded it, how much was spent on it, and how many people viewed it. Facebook will also maintain a searchable public archive that will contain the details of all political ads run on its platforms. Facebook notes in its blog post that it’ll take additional steps to verify the identities of people running political ads. CNN revealed part of that verification process will require advertisers to hand over the last four digits of their social security number to the social network before running any ads, in addition to a government-issued ID and a valid US mailing address. Now, most political advertisers—your super PACs, political campaigns, and special interest groups of the world—are not a particularly sympathetic bunch and there probably aren’t a whole lot of people out there worried about the potential exposure of their personal information to Facebook. But it’s a pretty damn bold request for a company that just came under public and government scrutiny for exposing the profile data of 87 million users to ask for any part of a person’s social security number. Despite marking the new process for political ads as an endeavor in transparency, Facebook declined to reveal what services it uses to verify social security numbers and other personal information, which deserves a big thinking face emoji. That’s not very transparent! Per CNN, Facebook will confirm the address of the ad placer by mailing a code to the provided address. The advertiser will then have to visit Facebook and confirm the code within one month of receiving it in order to be verified. Facebook told Gizmodo it will not store or repurpose any of the information it uses to verify an advertiser and will delete it as soon as the authorization process has been completed. Facebook is the latest tech company to institute new rules to verify the identities of political advertisers, following in the footsteps of Google and Twitter, which have both announced similar processes. Unlike Google, Facebook is addressing “issue” ads in addition to ads for specific political candidates, though some of those issues are extraordinarily vague and broad. Twitter and Facebook have both offered support for the Honest Ads Act, a piece of legislation that would require online platforms to disclose the identities of parties placing of political ads and keep publicly accessible databases of advertisers and candidates. Facebook reportedly opposed the measure privately at first but has since offered public support for it.